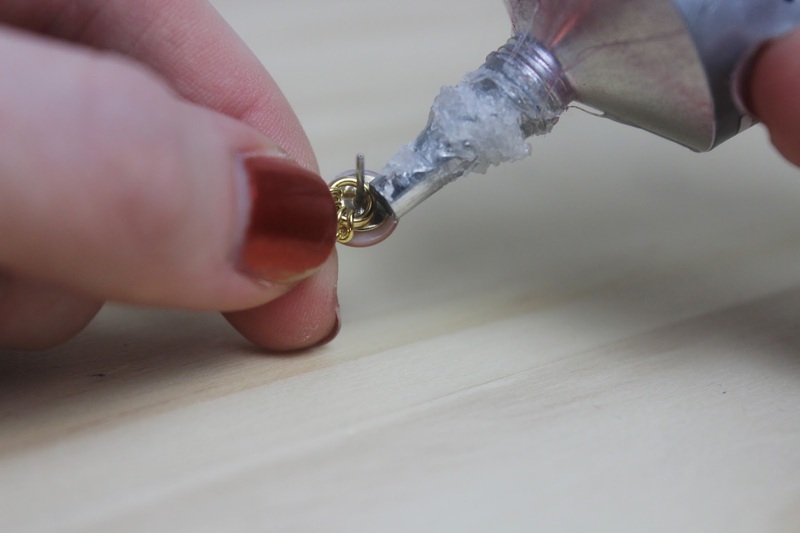 Monday morning blues definitely calls for a DIY. 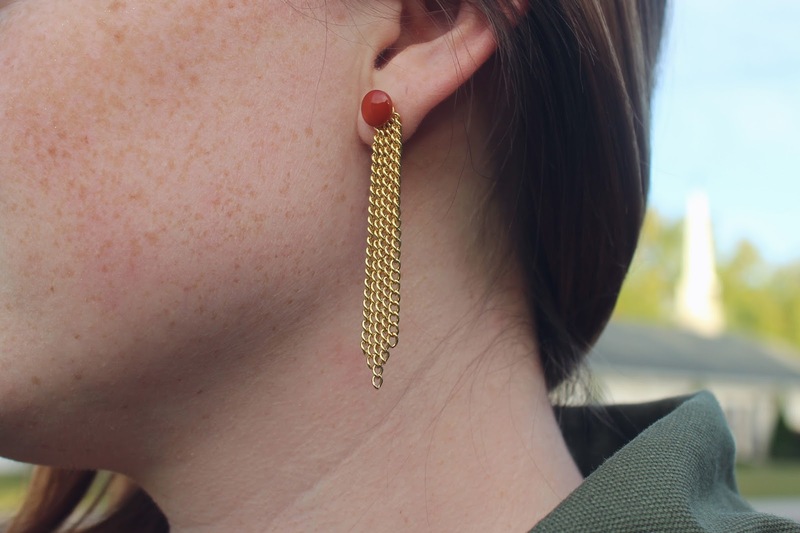 Those basic earrings of yours are about to get an upgrade. 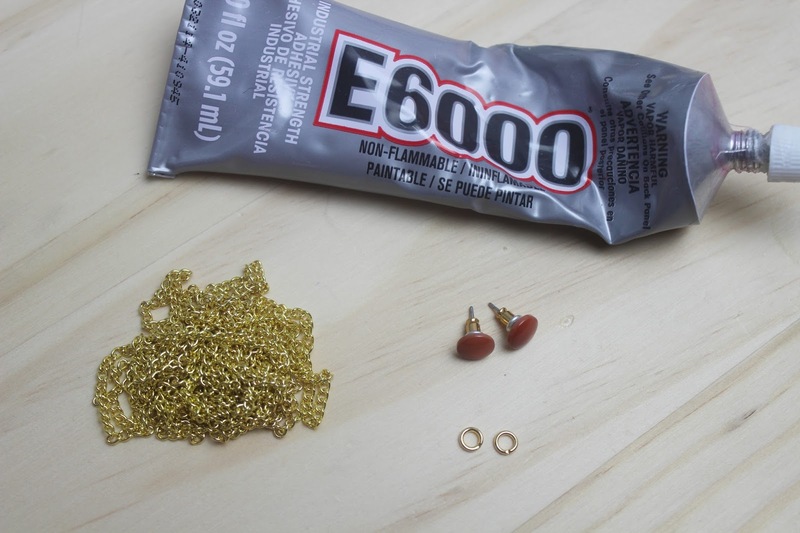 Here’s a simple DIY that will add some pizazz to a pair of studs. 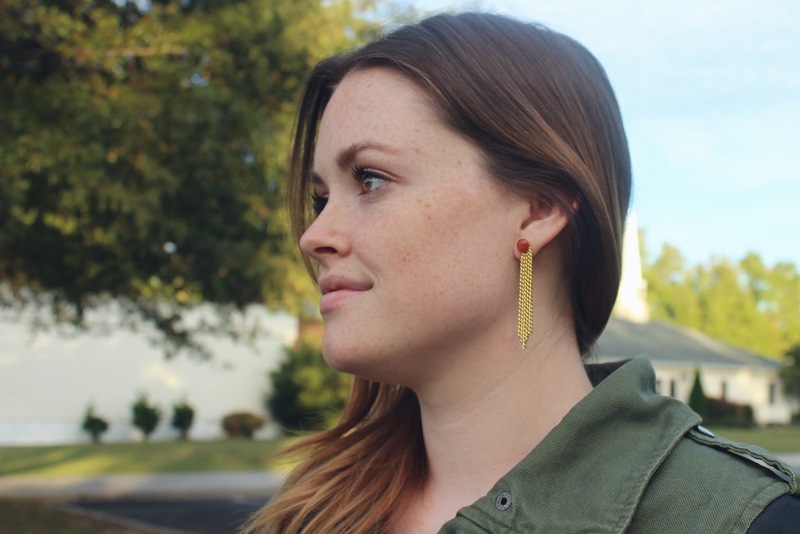 Not only is this project inexpensive, it can really pull an outfit together. 1. Attach different lengths of chain to the jump ring. To separate the chain i just used scissors and cut where I wanted the different lengths. I did a cascading 5 strand look with the longest in the middle. This really is up to you, make it your own! 2. 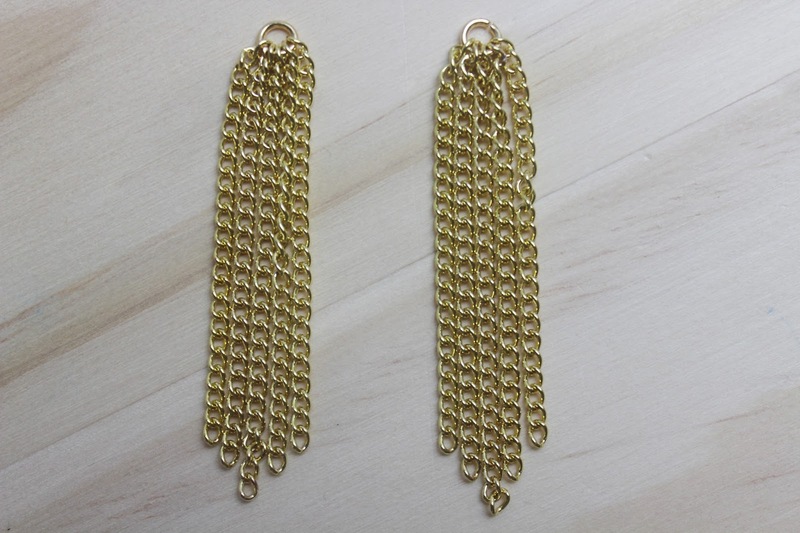 Slide the jump ring with the chains onto the earring post. 3. 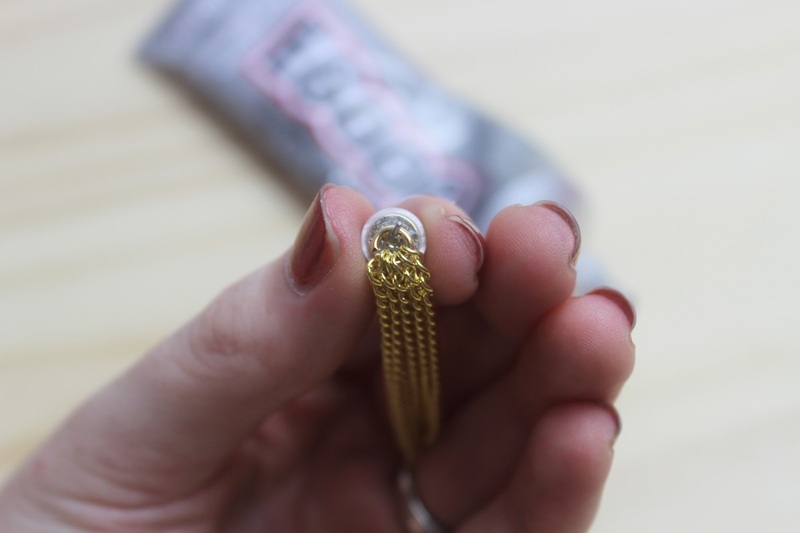 Apply glue to the back of the earring. Let dry overnight. Ta da! 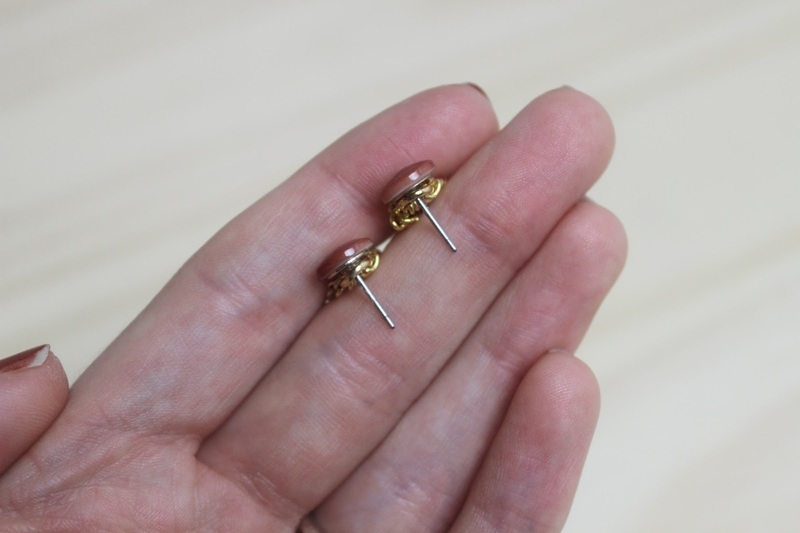 I’ve worn these a few times, and there is still enough room to put them on my ears securely with the jump ring attached.